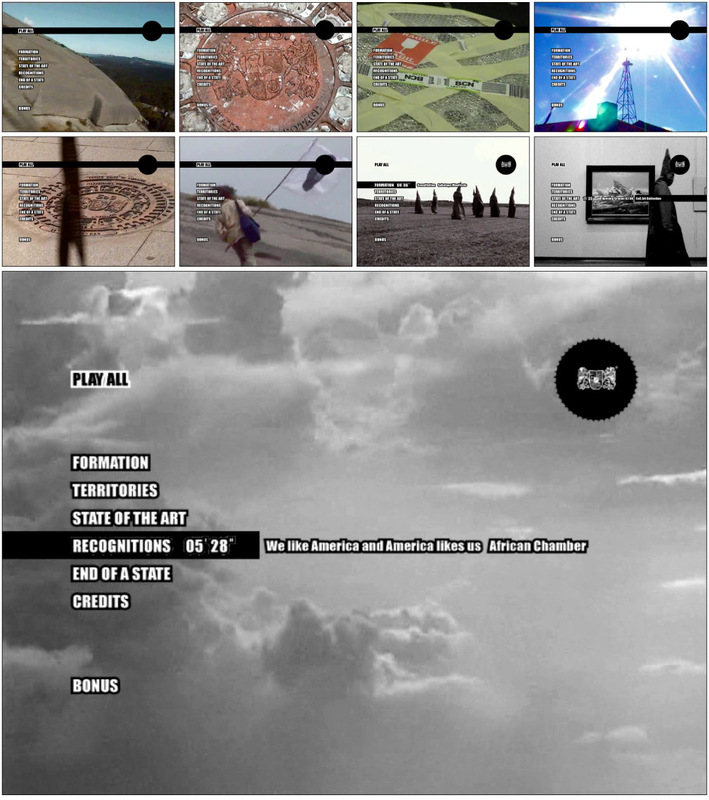 The Dvd is a compilation of the ‘SoS – State of Sabotage’ art projects. As the background of the menu you see a trailer of the movie, through the menu you can navigate like on a web menu wit collapsing tabs. If no chapter is selected the trailer goes on and becomes the first chapter of the movie-collection. Going through the menu you can choose the movies in their groups, the play all button is doing what it says. The Dvd was produced by us and cut in cooperation with Nick Bötticher who was also involved in the structure and layout of the menu. 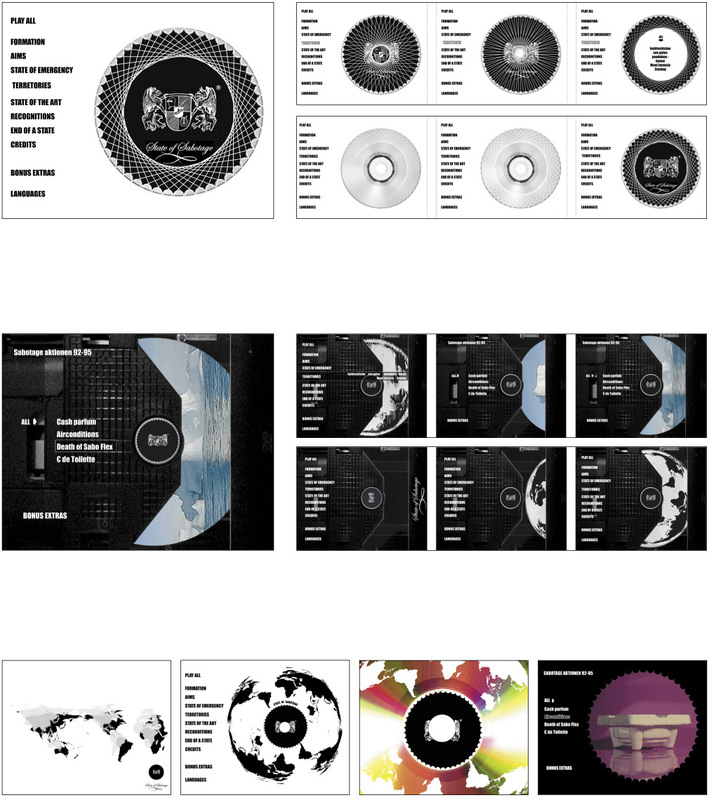 The project was done in cooperation wit the artist Nick Boetticher. The Dvd was created with Dvd Studio, the editing was done with Final Cut Pro, and pressed by Sony. Our diverse proposals for the project.